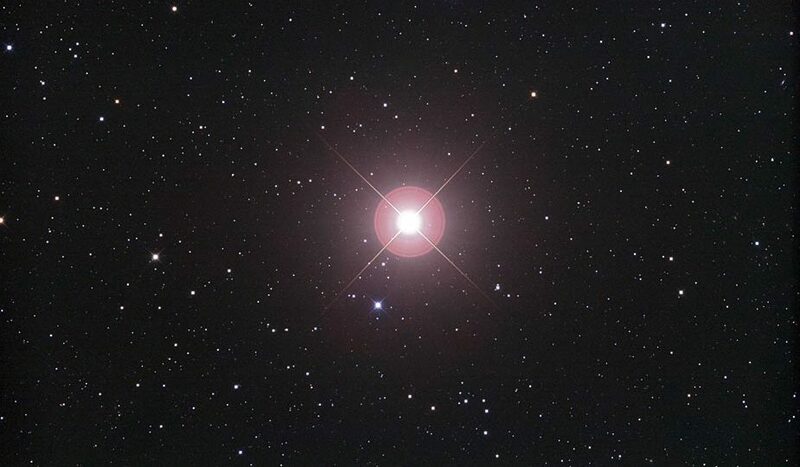 Fixed star Arcturus is a golden red star situated on the left knee of constellation Bootes. The two most fortune stars in the sky, Spica and Arcturus, are very close in longitude. While Spica is sweet and innocent, Arcturus is more apt at dealing with the darker aspects of life on earth. Fixed star Arcturus is of the nature of Mars and Jupiter. It gives riches, honors, high renown, self-determination and prosperity by navigation and voyages. Arcturus, Bear Leader-Guardian, means observer of the Great Bear, or the Saucepan or Big Dipper, respectively. Main star of constellation Bootis (driver of oxen) has a Jupiter-Mars nature, and a reputation of achieving justice through power. It therefore makes the native belligerent and quarrelsome, especially if attached to Mars and Jupiter by conjunction. An enterprising spirit is here the rule, as indicated by Jupiter-Mars. Lasting success is promised if further good aspects are present. If critically aspected, the good influence will be hampered or made into a real handicap. If involved in legal action, such a native may lose all. Prime star of Bootes is Arcturus, at one time the name for the Constellation itself, meaning the Driver of the Bear, Arctos (which is why our northern polar region is called the Arctic, of course). The Great Bear is obviously the most formidable creature there, and the point of Bootes’ spear is menacingly close the bear’s rump in case shouting should not be enough. Arcturus is a fine big yellow star, easily seen if one follows down a little from the curved sweep of the Bear’s stars (the handle of The Plough, or Dipper), and one may continue the sweep down to the horizon to meet the all-important Spica, Ishtar, Queen of Heaven. 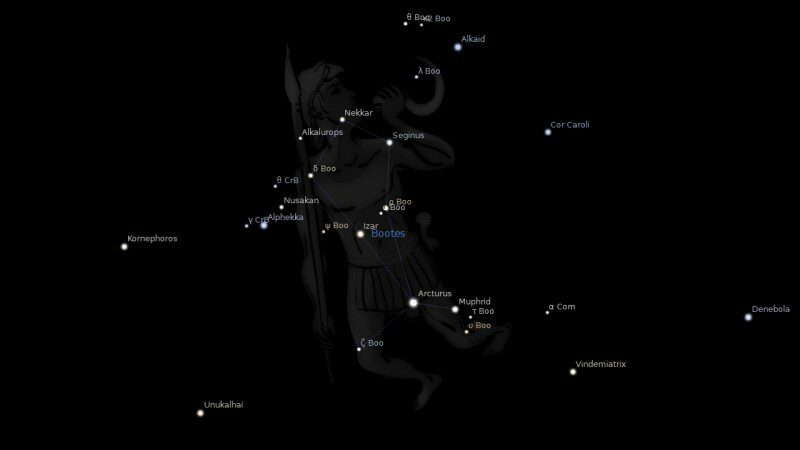 The two stars are almost conjunct by longitude, leading the Arabs to see Arcturus as her protector: Al Haris al Sama, Protector of Heaven, and Al Haris al Samak, Protector of the Defenseless One. One that is exceptional in many ways, manners and faculties, especially in those of mental forces having great vision in every direction, especially those of the unseen elements, bringing then much psychic and occult forces to the body. The highest conception of all domestic relations, the highest conceptions of honor. The highest conceptions of respect. The highest conceptions in every relation in friendship and in every element relating to others. 1. Fixed Stars and Constellations in Astrology, Vivian E. Robson, 1923, p.139, 234. 2. Fixed Stars and Their Interpretation, Elsbeth Ebertin, 1928, p.63. 3. The Living Stars, Dr. Eric Morse, 1988, p.141. 5. The Fixed Star Health and Behavior Imbalance, Ted George and Barbara Parker, 1985, p.85. hi! what about the north node conjuncting it? thanks you so much for all that work , very instructive..
Acturus 23 degrees Conjunct Ascendant with Opposition to Chiron 23 degrees which is Conjunct Jupiter in Aries? Hi Jamie , I find your site very informative ! I really enjoy your depth of research on your subject matter.